ELLISIMO GOLD II--If you have longed for an upper-end BabyLock but couldn't get past the price, now's your chance. 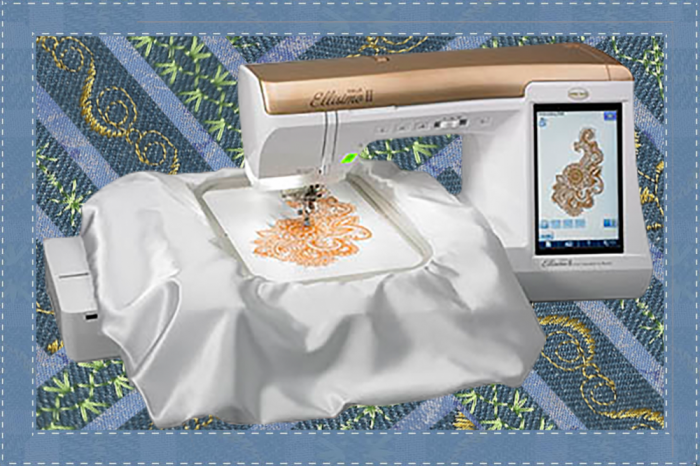 We are taking a whopping 50% off the Ellisimo Gold II for our floor model. The Inspirational Guide is included free. You will save over $5900 on this deal, so act now, there is only one.